We have all your favourite Cocktails! 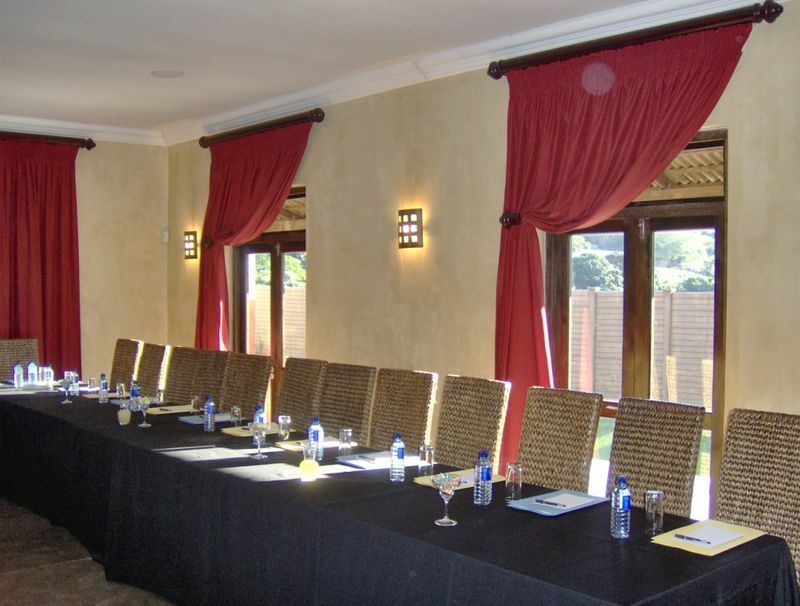 Once again the central location of Umdlalo Lodge which is just off the N2, one hour south of Durban and with easy local access from Port Shepstone, Margate and surrounds makes it a practical and economic choice of venue for not only Conferences but any gathering of people with common Interests. The upmarket Luxurious Suites accommodate a maximum of 18 sharing for those who need to stay over for the event. For Half Day, Full Day and Weekend Specials, please contact us for prices. For both Option 1 and Option 2 the Function Room, together with Standard Equipment and Stationery is included in the daily rate. Not included in the daily rate is a data projector/LCD for which a separate charge is made. Upon your advice and booking we will arrange all the seating and room set up prior to your arrival. In considering your needs, we advise as follows. We can accommodate from as little as two people up to sixty. Clients need to brief us on the settling of their employee expenditure for such items as Telephone usage, room service, beverage accounts etc. should delegates be required to settle these accounts then they must do so prior to departure. Terms and Conditions Apply and are attached to the booking confirmation prior to payment. Not all functions are Weddings and Conferences and Umdlalo Lodge together with Zizi’s Restaurant is the chosen venue for many Family Get Togethers, Engagement Parties, Birthday Parties, Baby Showers, Product Launches, Corporate Breakfasts and Board Meetings but to name a few. Management will be pleased to provide information and benefits on all types of Functions. I just wanted to say ‘thank you’. Everything went smoothly with my function – the gentleman that took care of us, and his team were excellent.